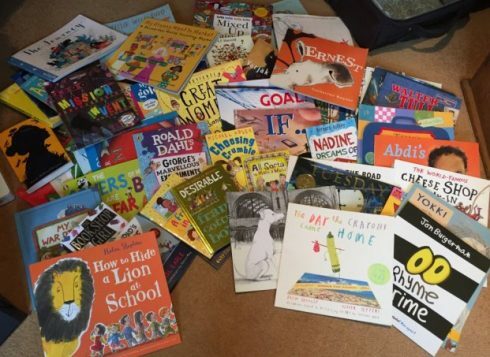 Lots of news and articles about children’s reading came out over the summer. Do hope this round-up is useful. An American study shows that the benefits of reading to babies last for years. New research shows the importance of oral vocabulary for reading: children find it easier to read words they have heard before, even if they’ve never seen them written down. I was very interested to read Kate Nation’s views on the necessity for good comprehension strategies to complement phonics teaching in early years. Lots of good ideas in ‘Six steps to create a reading culture in your school’. Great to see school libraries and librarians (appropriately) valued. ‘What works for getting kids to enjoy reading’ has some interesting data and ideas, particularly about rewards for reading and easy access to books. This useful blog on reading interventions argues that all interventions must be appropriate to the individual, for instance that a phonics-based approach will not help a successful decoder who struggles with comprehension. Finally, an intriguing discovery: only human protagonists in children’s books impact on children’s social behaviour, not animal ones.